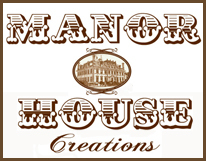 Hi everyone and welcome to the Imaginarium Designs and Manor House creations Blog Hop!! If you’ve arrived here from Sandie Edwards blog, then you’re right on track! If not, head back to the beginning of the hop HERE at the Imaginarium Designs blog! I was so excited to hear that Manor House Creations would be teaming with Imaginarium chipboard for a blog hop, and even more excited when my very generous parcel of chipboard and flowers arrived; how lucky am I to be able to create with such wonderful and unique products!! Here is my layout, a very recent photo of my daughter and I at a local park. and close ups of the beautiful Manor House flowers and the Imaginarium chip – they work so well together. Flourish – IDFL0002 – Embossed with Stampendous embossing enamel. Corner – IDC0003 cut into flower shapes and then inked and embossed with clear embossing powder. I have then added a large brad. Title – IDP0030 inked and then embossed with clear embossing power. 1. Please leave me a comment to be in the running for the Imaginarium Prize Pack. 2. Be sure to become a follower of my blog. 3. Continue along the hop. Your next stop is at Julianne Mc Kenna-De Lumen. thanks for popping by today, lots more inspiration to come! Hello) I thank you for the chance! You do wonderful work! This page is very touching! What a beautiful, beautiful lo! Very pretty page, love that title in the black great idea it really pops out amongst the flowers. Wow… sweet picture and gorgeous layout. I love the way the embossing enamel worked on the chipboard! Glad you had a close-up. Such a heartfelt moment you captured beautifully! Love the colours on this with that awesome photo Gwen. Wow….such a beautiful layout. The flowers compliment such a loving photo. The manor House flowers and Imaginarium Chip look beautiful together. Gwen, I love all the texture and dimension in your layout, and how you have made the yellow flowers pop. Gorgeous.